The truth is that most anyone can tell you what the weather is NOW! Few can tell you what it will be tomorrow! I wonder sometimes if God has a great sense of humor. TV stations spend enormous amounts of money for Doppler Radar and other weather intel technology and the salary for someone with a degree in meteorology to tell their viewers what the weather will be. And, sometimes they get it right. At other times they miss it a mile! The best in the business are those guys who predict major storms each year, especially hurricanes. They have been wrong much more than right at least for the past five years. What becomes glaringly obvious is that weather is out of our league. God alone knows what the weather will be in July, or tomorrow. Working as a weatherman, or weather-woman, or for my more politically correct readers, weather person is a thankless job with built-in opportunities for lots of people to be mad at you much of the time. Weather, medicine, and many other disciplines have experienced huge advances in technology and have helped mankind as a result. But, with all of that wonderful tecno-stuff and smart people to use it no person can say with certainty what the weather will be tomorrow afternoon in your town and the best doctor in town can’t cure a common cold. At times we seem to think we humans have everything all figured out and are self-sufficient. Wait…not so fast there, it just an’t true. I am thankful for technology, and even for the local weather man, but he is infallible. These tips can help you to predict the weather and are almost as accurate as the best weather station. Spend an afternoon washing your car. Rain will follow soon! Plan a fishing trip for Saturday. 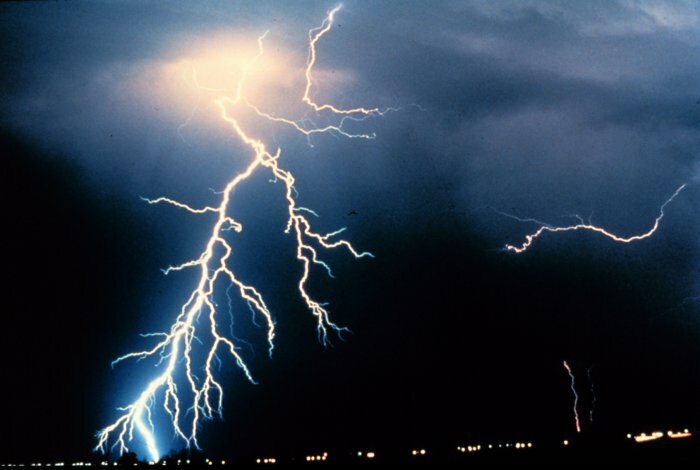 Thunderstorms will show themselves. Wait two more days to mow your grass since it isn’t going to rain ’til Wednesday. A downpour will come Monday a.m. 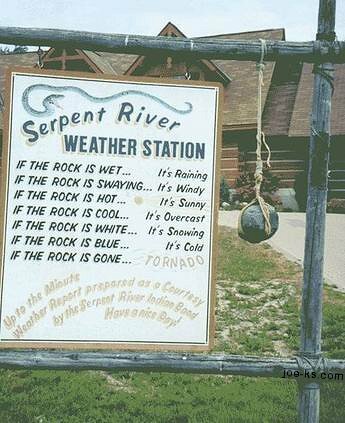 Someone came up with this weather station for the poor man. It works perfectly every time!